A bus carrying 8 people on board crashed near Tábor on Wednesday morning leaving 2 dead and 6 injured. Along multiple ambulances, air medical service was dispatched to the scene of the accident. “Paramedics, unfortunately, could not help two people. Man and woman died right on the spot. 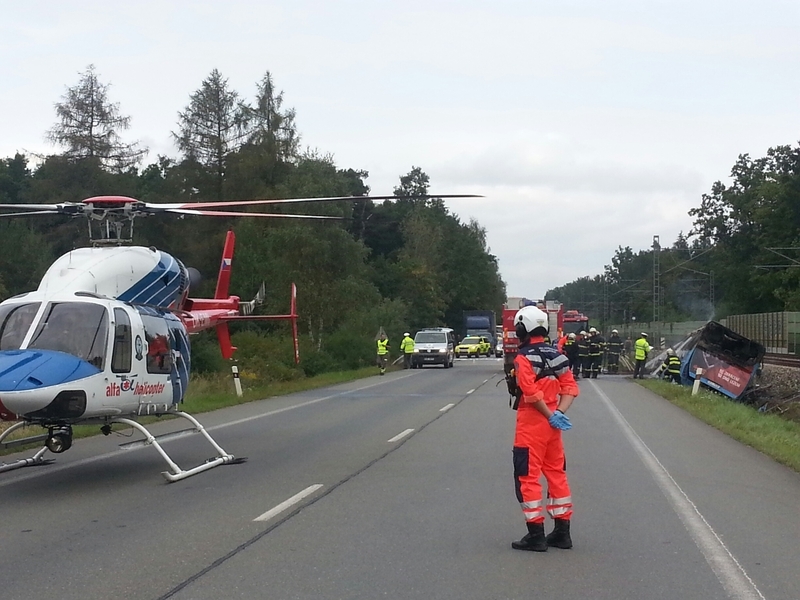 Another five injured were taken to hospital in Tábor and České Budějovice. One person with minor injuries, upon his request, had been left at the scene.” said Petra Kafková, the spokeswoman for emergency services. According to local news sources, one of the dead was a driver of the bus. The cause of the accident is remaining unknown and being currently investigated.